The Head Djokovic dampener is a button-style vibration dampener that improves comfort and shock absorption and decreases string vibration, thereby reducing the risk of developing tennis elbow. The dampeners are supplied in a pack of 2 and are made to surround the two main strings. for submitting product information about Head Djokovic Dampener - Pack of 2 We aim to answer all questions within 2-3 days. for submitting product information about Head Djokovic Dampener - Pack of 2. We aim to answer all questions within 2-3 days. If you provided your name and email address, we will email you as soon as the answer is published. 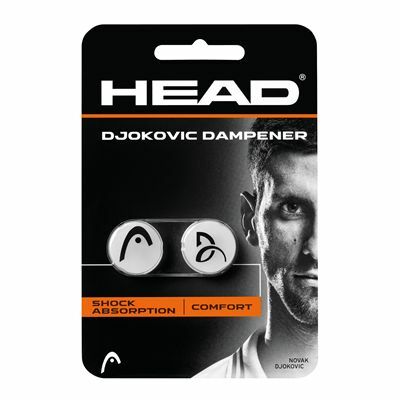 for submitting product review about Head Djokovic Dampener - Pack of 2.